We surveyed SaaS companies in multiple industries to learn how they raised capital, how they used it, and how it impacted their growth. Download your free report now. Learn the most common reasons for raising money and what channels SaaS companies used to do it. Learn what drove growth — and what didn’t — and where SaaS companies are focusing their efforts. Read advice from venture debt and inbound marketing firms on what to do for growth in 2019. 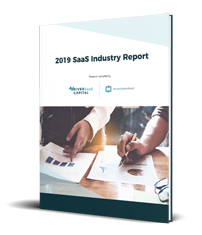 We built this report to help guide SaaS companies on what’s been working for their peers in the industry. Now, it’s up to you to act on those findings. Download the report now to discover where you should be prioritizing your efforts based on industry shifts and trends. More and more SaaS companies are turning to different forms of funding for various strategic purposes. But not all funding channels carry the same benefits. Venture debt gives you the financing support you need — without taking an ownership position in your company, or a board seat. This keeps you firmly in control of your growth strategy. Download the report now to learn how SaaS is using debt, and to get our insights. Fill out the form to get your copy of the SaaS industry report. © 2019 River SaaS Capital. All Rights Reserved.